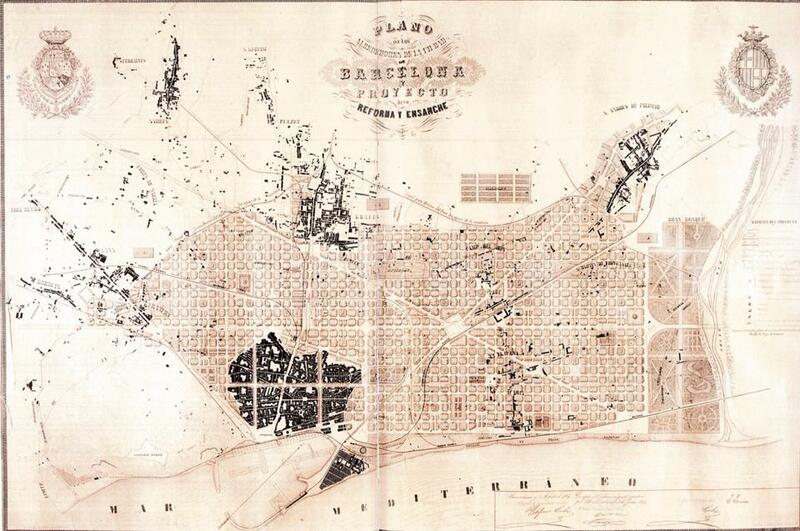 Ildefons Cerdà’s Eixample Plan for the extension of Barcelona’s urban fabric in 1897. The Mediterranean coast has proven to be fertile soil for the growth of seafaring cities. As centers for trade and by extension culture, these cities held the riches of their respective countries. With great wealth and easy access to the open sea, however, came great danger and threat of invasion. 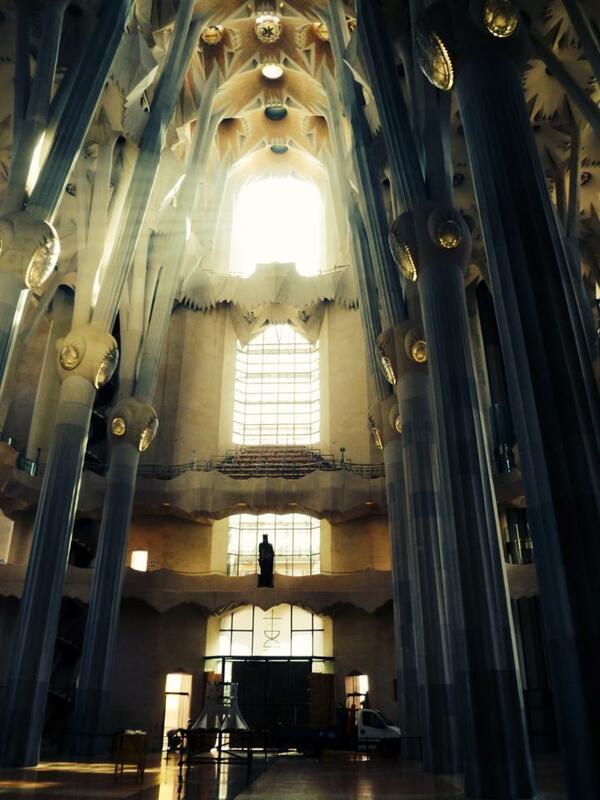 Barcelona was no exception. Aerial view of Cerdà’s plan including the traditional city center in the upper right hand corner along the coast. Occupied throughout its history by the Romans, the French, and the Spanish, Barcelona now sits as the capital of Catalonia – sprawling along the coastline that has both given life and brought destruction. Typical intersection of Barcelona blocks, notice the adaptation of the avenues for bus panes, parking, cycle tracks, and separated service lanes. Catalonia’s premiere city ascended to new heights in 1888 when it held the Exposición Universal de Barcelona – an International World’s Fair. The event gave the city some of its most prominent landmarks, such as the Arc de Triomf, Ciutadella Park, and the Monument a Colom. 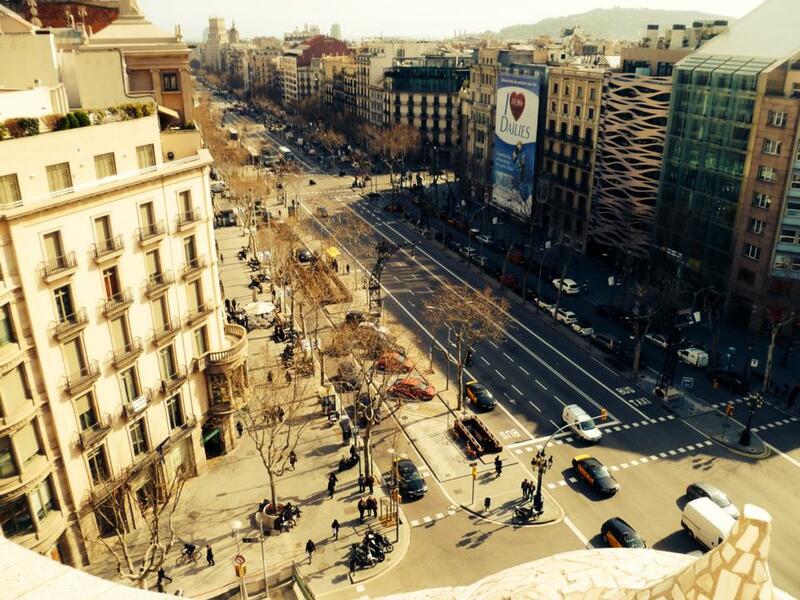 The fair catapulted Barcelona onto the world’s stage and provided a catalyst for the city’s growth. 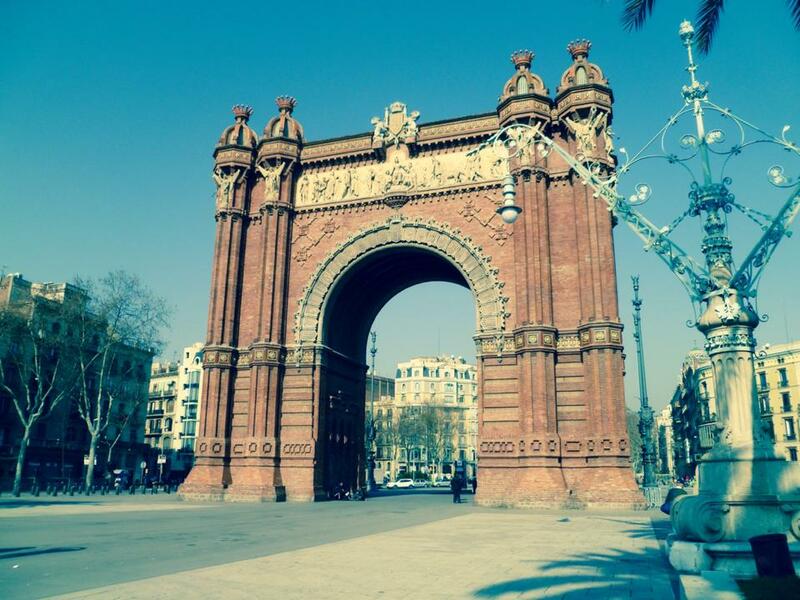 Arc de Triomf, which served as the entry gate for the 1888 World’s Fair. 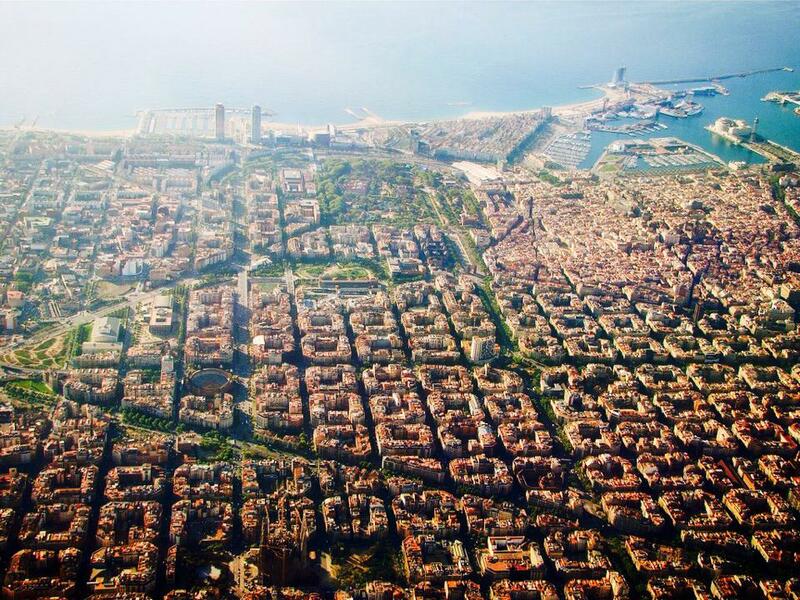 Beginning in 1897, an ambitious plan of heroic scale, Eixample, was implemented to connect Barcelona’s traditional center with several surrounding towns on the outskirts of the city. What was once a scattered region of city, towns, and villages became one seamless, mighty urban area. 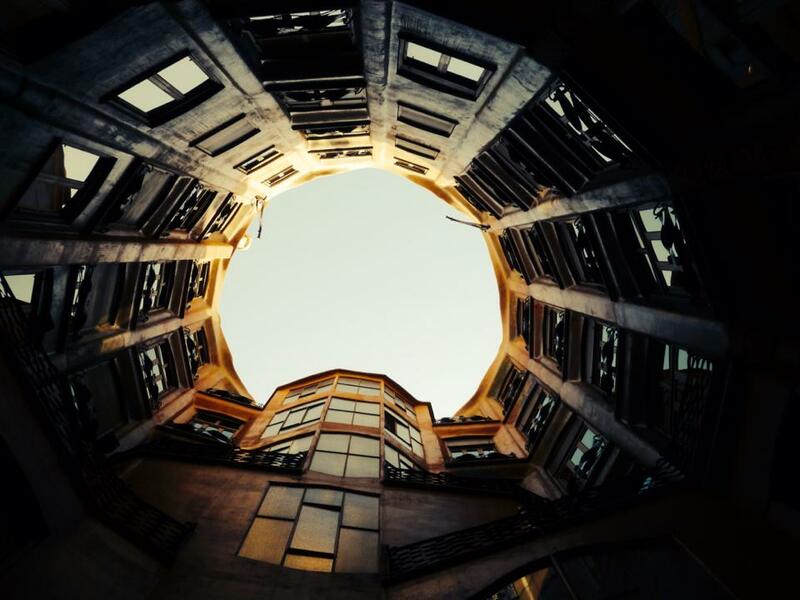 Intimate central courtyard of Gaudi’s La Pedrera on Passeig de Garcia. Visionary planner, Ildefons Cerdà, designed the city plan that would join the coastal city with its rural neighbors. The Barcelona block has become its own unit of measure in the urban design community – held in high regard for its functionality, flexibility, and aesthetic. 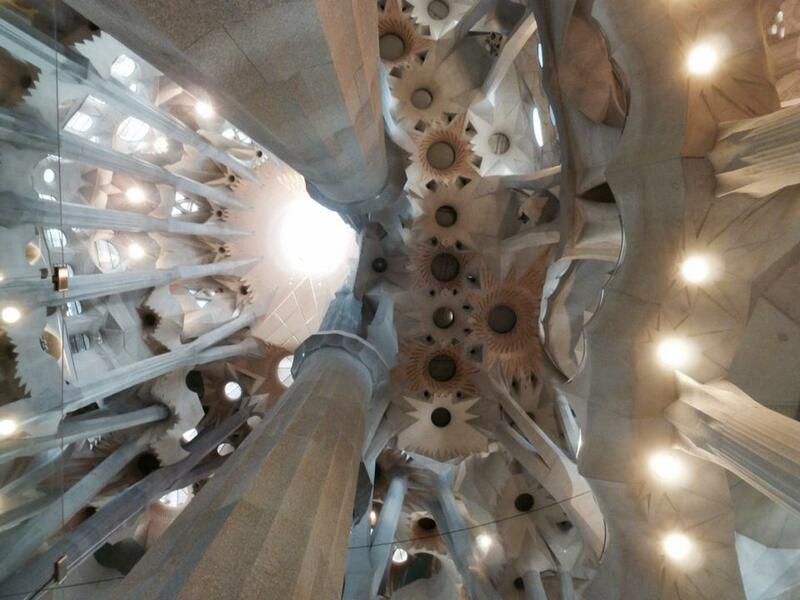 Interior of Gaudi’s Sagrada Familia – another landmark within the fabric of the Barcelona blocks. The octagonal blocks provide immense street frontage for commercial, residential, recreational, and civic uses, the centers of which are reserved for courtyards and gardens. Organizing a series of these blocks along a gridded street pattern, as was done in Barcelona, makes every intersection a special place. While adding diagonal boulevards, large squares, and occasional monuments in the skyline brings the experience to new heights. A bath of light, a rhythm of columns – the caverns illuminated.